With good transport and flexible body-building capacity, FOTON trucks were chosen by J&T Express. There is no way to go but up for FOTON Motor Philippines Inc. (FMPI). The brand continues to bring in business clients such as PT Global Jet Express (J&T Express), a brand that was established in Indonesia in the year 2015. 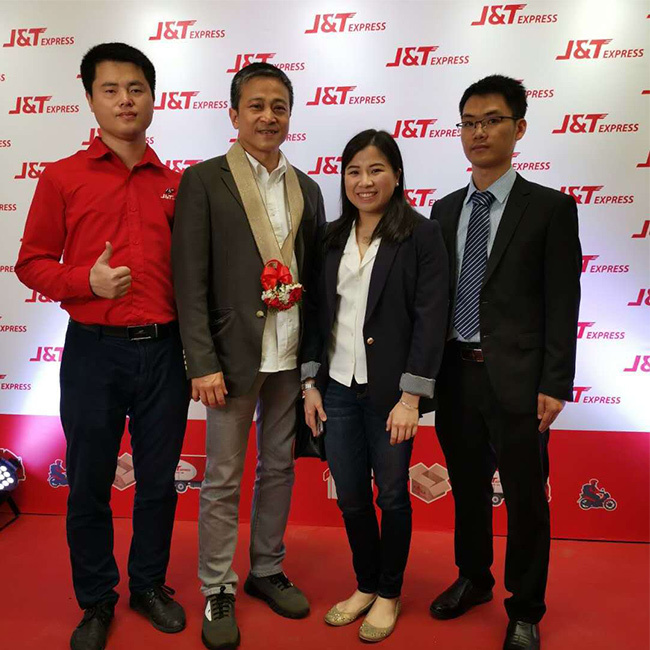 J&T promotes expansion in the trending e-commerce platform. Already considered a global brand, J&T attained the number two spot in its country of origin in terms of best delivery services. 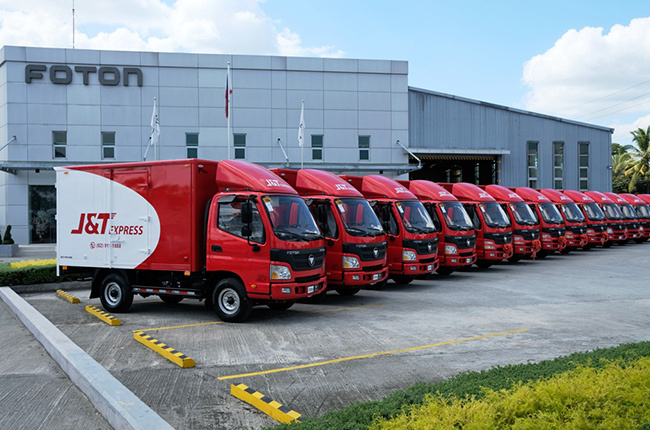 This year the company plans to branch out from the rest of its South East Asian markets to deliver its service here in the Philippines; all utilizing FOTON commercial vehicles. 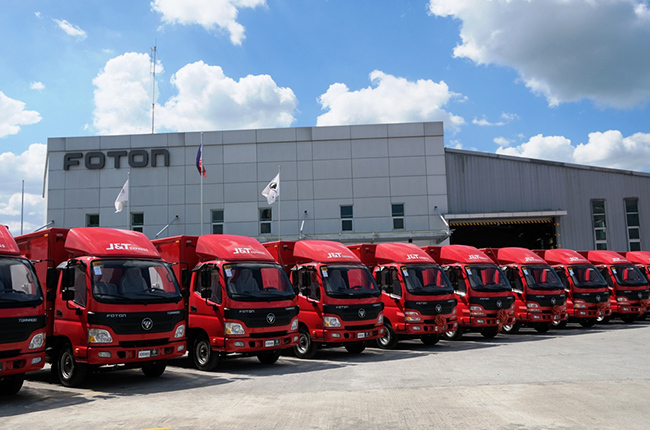 A total of 130 FOTON trucks were purchased by J&T express to handle the mass cargo and big delivery requirements of the logistics company. Sixty units of the FOTON Tornado 2E E4, thirty units of the FOTON Tornado M4.2C, and forty units of the FOTON Gratour TM, have been purchased by J&T in the business deal. 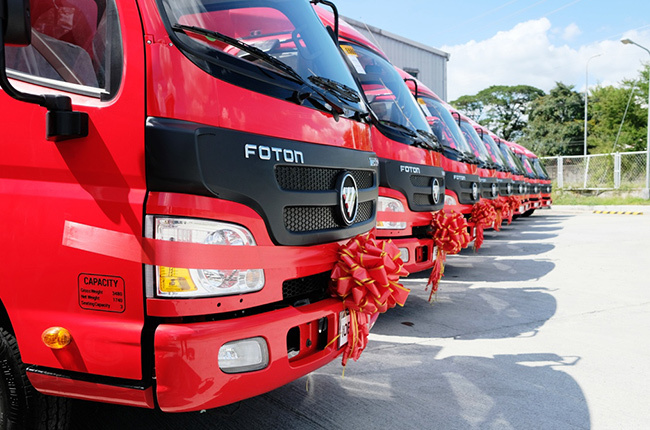 FOTON trucks are designed to deliver powerful driving performance, high durability, ergonomic comfort, as well as good transport quality and flexible body-building capability – major factors to consider when investing for a transport business. We also conducted research and evidently, the customer feedback is good. FOTON definitely offers the biggest value for money. On the note of performance, the FOTON Gratour TM is a cabover truck in the Gratour line. It is powered by a 1.5L naturally aspirated four-cylinder engine that outputs 108hp and 142Nm of torque. The vehicle can accommodate up to 14 passengers with its side folding seats which can stow away to reveal a boatload of cargo space. FOTON’s light duty truck, the Tornado 2E E4 F-van, can deliver a payload capacity of up to 2,000 kilograms. The engine of this 11-foot truck is a four-cylinder in-line water cooled, CRDI engine. The powerplant gives the ‘bigger than its competitors’ truck a capable carrying capacity with a lot of space to haul. On the other Tornado variant, M4.2C, the ISF 3.8L FOTON Cummins Diesel Engine passes Euro-4 standards. The turbocharged and intercooled engine generates 600 Nm of torque. Holding the engine in place is a high-strength steel that can support the weight of all the freight that J&T will need to carry to destination. Speaking of Euro-4 compliance, all FOTON trucks sold to J&T follow the Euro-4 emissions standard. 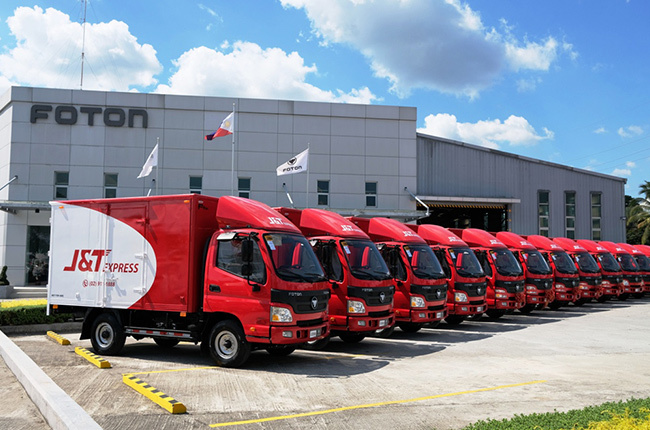 We would like to send our sincerest gratitude to J&T Express for choosing FOTON for their new venture in the Philippines. It is an honour to be the top choice of a global brand like J&T Express. Just like our brand promise, we hope that the convenience you’re offering to the Filipinos be a key to empower more businesses.